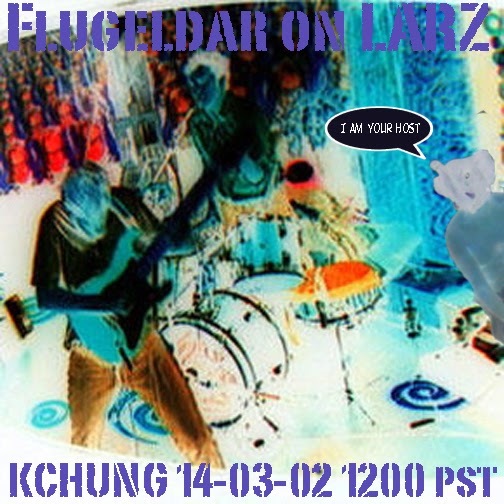 This week's edition of Doug Harvey's Less Art Radio Zine will feature the historic reunion of Flugeldar (originally known as Fireworks), the mid-Zeros art school band that galvanized the milieu from whence sprung forth Ariel Pink's Haunted Graffiti, Lavender Diamonds, and others. 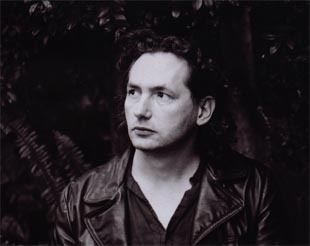 Anchored by the dual singer/songwriter geniuses of visual artist Christian Cummings and filmmaker Lee Lynch, the band has been on hiatus for several years, while Cummings produced his solo album Slavebation and Lynch was enjoying the hospitality of the underground fairy civilizations of Iceland. The band will perform live in the studio, and we'll listen to some of their new demos, some vintage recordings, and some of their influences, and - if there's time - touch on their recent extracurricular activities, including Christian's recent solo show ANTI-URGES & STARGATE at Chin's Push and Lee's new documentary on failed capitalist archetypes, ranging from a full-time Dog The Bounty Hunter imitator to James Holmes, the Aurora theater shooter who dressed as The Joker.